You need to promote yourself - but you're a small business and you can't afford to bring in the experts - or even a professional. So, how do you get access to the process? And drive awareness of your business? Press coverage enables your business to be seen across multiple platforms like social media and in news or magazine articles. These areas will create trust and awareness for your company. Here are a few ideas on how you can further your chances of writing a press-worthy article to get exposure for your business. Be clear about why you want media exposure so you don't waste your time trying to explain unnecessarily.You can also ask your customers to provide information on how they have heard about your business. This is useful as you can use the information to work out which area of advertisement is the most successful for your individual business. If you are unsure about how to do this, create a simple survey or post a questionnaire to them, ask what they like to read and see where your best area to target is. Easy to say, but make sure that what you write is good by making it detailed, clear and informative. If what you’ve written is no good, there's no way you’ll get it published. Find something to write about that will catch the interest of your target audience, and don’t just make it about the promotion of your business. Always think about how your article can relate to what the people will want. Become known for great writing so that people will talk about you and spread your name, and ultimately your business or brand. When you do become published you will need to be active and committed. You’ll likely receive questions in response to what you’ve written, so being active will mean that you always answer promptly and show interest in their opinions. This will help build a relationship with your readers, bringing them back for more. It’s no good trying to advertise your business in The Times if your target audience is in The Sun. Building a reputation is hard and trying to do that through newspapers that have readers who won’t have similar interests will be a waste of time. Make sure you know your target audience - what do they read and listen to, even find where they shop. These things will make your article more personal and connected, gaining the reader's attention. 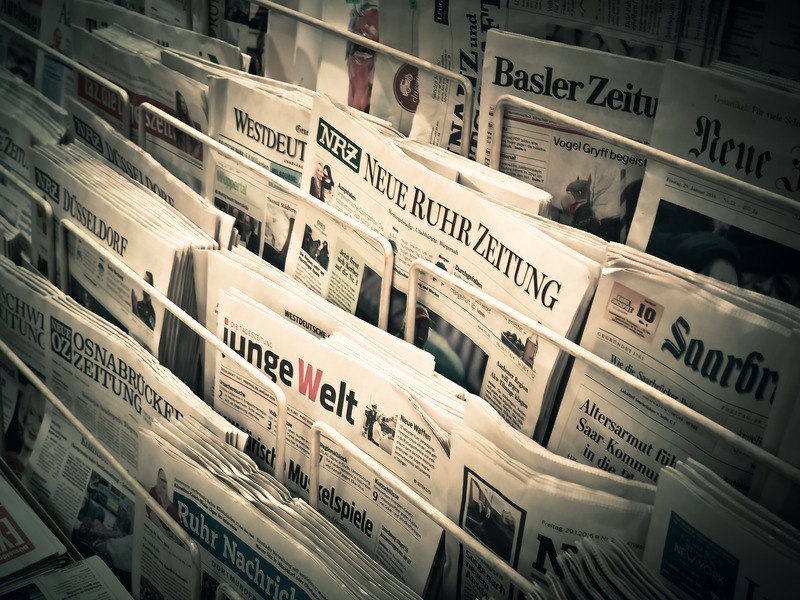 Regional or trade press are often better than national press, especially for small businesses as they will have a more specific target audience. Once you know where your target audience spends their time reading, find out what it is that the journalists are looking for. If they don’t like it, they won’t publish it - some safe bases to start following are human interest and anything new. Use who you already know - if you have relevant connections, make the most of them. Find the contact information of relevant journalists or editors as this can get you access to the press if it is done in the right way. How? Contact them with a message that will stand out. Many journalists get hundreds of emails a day, so won’t even read many of them. Introduce your business, let them know why your business should be promoted, but keep it short and sweet. Focus on building relationships with journalists before you jump straight into asking for an article. This will be time-consuming but will be positive in the long run, providing the journalists with value upfront without asking for anything in return - like through commenting on articles they have written that you like - will make them much more likely to help you out in the future. It is likely that you will be rejected - a lot. But you can’t just give up - you have to keep trying. Always chase them to follow up about the article or announcement you’ve sent. Limit the chasing up to 4 times, otherwise they will end up losing interest, and may delete your emails before reading them next time. The overall idea is that gaining the interest of the press won't happen overnight, and it will require time and effort, but will be a great way to get exposure for your business if you keep plugging away at it.